This blue and yellow card is for a male but could be anyone really. 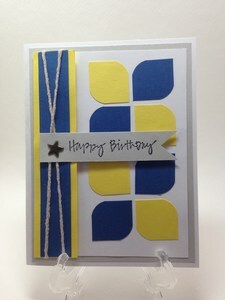 I added a little twine on the end and used my corner rounder to create the shapes. So easy. 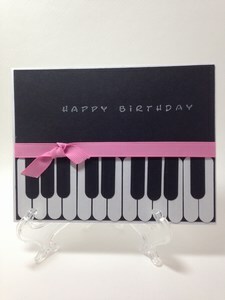 The piano card is mostly made with a Stampin Up punch to give the illusion of piano keys. A sweet little sentiment and it’s all done.